GANI PATAIL'S MASTERSTROKE - HE REVEALS THE TRUTH THE WHOLE TRUTH. Sometimes and in some circumstances you only have to shut up to confirm the veracity of a statement, this is one of those instances. Too much has happened to people that Gani Patail the ex AG has decided not to tell a lie by just keeping his lips sealed. As a Government Servant Gani Patail is duty bound to dispel a lie involving him and more so the credibility of the government the instant it comes to his notice, but he has decided to keep his mouth shut. Now think about that. Gani is a lawyer, he was the ex attorney general, and he knows that he can't lie on such issues, so he has decided not to deny Muhyiddin's claims and instead chose to remain quiet that way he has done no wrong. It may not have been the absolute right thing to do, but he is not wrong either he has not denied Muhyiddin's claims, and that means Muhyiddin's claims must be absolutely true or Gani would have been duty bound to deny it or at least those parts that were wrong if any and he did not do that either. 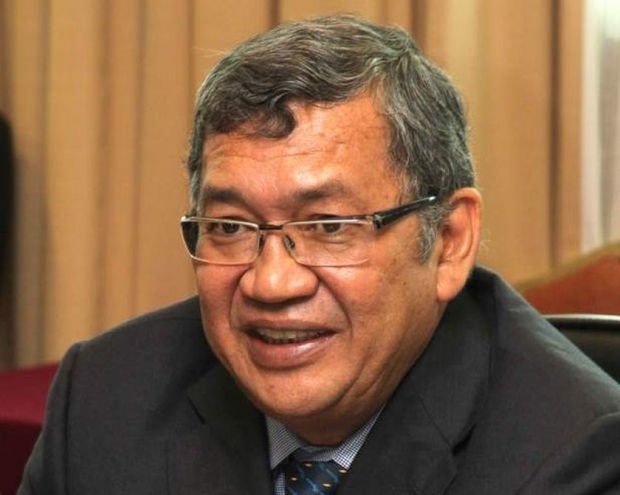 If Muhyiddin's allegations weren't true, Gani is duty bound as a Civil servant to deny it immediately it is brought to his attention, failing which disciplinary action can and must be taken against Gani, and Gani Patail knows that only too well. So why did he choose to remain quiet? That being the case Gani has made his choice keep shut like he did from day one, but in a master stroke has told us everything at last by just saying nothing. WHAT IS LIKELY TO HAPPEN IN THE NEAR FUTURE? Will Gani be forced to tell a lie, now that the truth is virtually out? I think it is very likely to happen, so do not be surprised if Gani comes out and says that Muhyiddin is lying or comes out with a version that will make Muhyiddin's case look like an exaggeration to discredit it. I think not, but then you'll have to excuse Gani Patail too, you must consider the circumstances under which such a thing is likely to happen, he has already made his announcement. WHY is Ghani so gungHo this time>.? usually he goes to the bidding of Jibby.. ever since the day of anwar he has been a tool of BN/Jib. WHY suddenly taking a small turn? The murdered DPP in Malaysia was involved in the IMBD investigation. He was murdered when the EX AG was forced to resign.